This listing is a reproduction print, silhouette created from 1 of our fine art watercolor abstract paintings. Choose from 1 of our many size options. 5x7 , 8x10, 11x14, 13x16 - But if you need a size not listed please contact us for quote. We can send any of our prints in a email for self printing, please contact us for custom listing and lower pricing. Like this print, but it's not quite right? Contact us. We would love to create a custom design for your little sprout! Prints ship within 3 business days (Monday - Friday), excluding holidays. If there is a delay in your print you will be notified immediately. Prints are shipping USPS first Class Mail in rigid mailers. We print on Profession Luster Photo Paper with high quality / fade resistant inks rated to last (100 yrs). We accept Debit, Credit Cards and Paypal via Etsy's safe and secure direct checkout. ♦ DOWNLOADS: You will receive an email with a link to your download minutes after completing purchase. ♦ PRINTS: Ships within 1-3 business days (no shipping on weekends or holidays). ♦ WALL DECALS: Ships within 1-2 Weeks (no shipping on weekends or holidays). ♦ WOOD SIGNS: Ship next business day. U.S.A -Ship within 2-3 weeks (Monday - Friday), excluding holidays. All Continental USA packages are sent Priority Mail with tracking. INTERNATIONAL- Ship within 2-3 weeks (Monday - Friday), excluding holidays. All overseas decals will be shipped 1st class. Transit time: 2-4 weeks depending on location. !!! 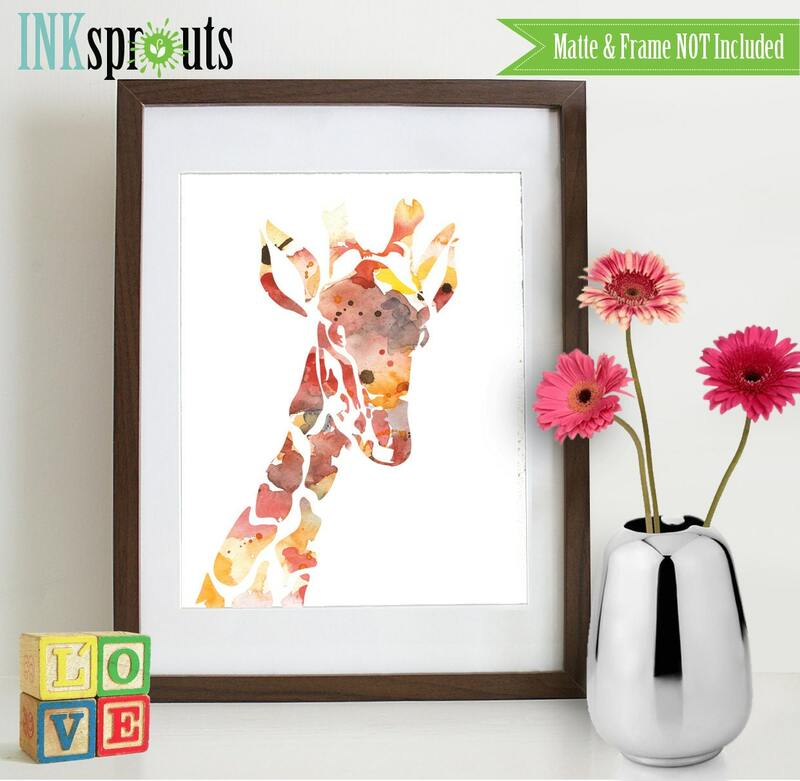 VAT Import Tax: Inksprouts is not responsible for additional import tax charges imposed by other countries. ◘ PRINTS: are shipped in a protective poly sleeve and rigid cardboard mailer. Prints are Shipped within 3 Business days once payment has cleared. If production time needs to extend beyond the 3rd business day you will be notified immediately. Since we do not roll our prints if you order prints to go with your decals they may be shipped separately. We are closed the following days, Orders Due on these days will ship the next business day. If your item arrives Damaged, please let us know promptly. A replacement will be sent within 3 days. Since most of our items are custom, all of them made to order; refunds are on a case by case basis. If a refund is approved, item must be unused, uncut and returned in the same packaging. Return shipping charges are paid by customer. We stand by our manufacturing products, if you had a problem during install of your decal please contact us so we can resolve the issue. No refunds will be issued after 45 days. We have prints ranging from 5x7's up to 13x16's. We print standard frame size making matting and framing easy. Do the prints come matte and framed? No. The photo shown on the listing is for reference only. You will receive the print only in a protective poly sleeve, shipped in a rigid envelope. I need my print now! Can I get it via email/download to print myself? Yes. Please contact us prior to ordering. We can send any of our images via email for instant print, this will drop the price so please contact us first so we can create a custom discount listing for you. I don't like the colors on my print, they don't match my monitor; Can I return for a refund? No. I'm sorry we do not accept returns. The colors you see on screen may differ from the actual print. I try to make them match, but each monitor is different. I highly recommend purchasing a color chart if you need an exact color match. I don't see the color I need, can I give you a paint color to match? Yes. Since we are printing we can match any color. Just send us a message with the paint color brand and swatch name/number. No. Our decals are cut from high quality interior vinyl. Solid Colors, we can not match specific paint colors. No. Once you decide to remove the decal it can not be placed on the wall again. Do you combine shipping with decals and prints? Yes. But we have noticed that Etsy's new shipping calculator does not combine weights into 1 shipping charge, please contact us so we can give you a discount. Can I customize this decal with colors to match my room? Yes. Please review our color charge to choose the colors for your decal. Can decals be applied to textured walls? Only Slight texture. But decals will not work on knock down, heavy orange peel, stucco, brick, exposed cement or sandy textured walls. Do your decals work with all interior wall paints? No. Unfortunately Decals will not adhere to Low or Zero VOC paints, these are also called the environmentally friends, Zero odor paints. How long after painting will we can apply our decal? It's best to wait at least 30 days. This is the standard cure time for most paints.